New Directions Publishing Corporation, 9780811201209, 172pp. This biography begins with Gogol's death and ends with his birth, an inverted structure typical of both Gogol and Nabokov. 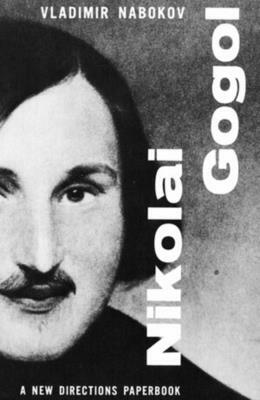 The biographer proceeds to establish the relationship between Gogol and his novels, especially with regard to "nose-consciousness", a peculiar feature of Russian life and letters, which finds its apotheosis in Gogol's own life and prose. There are more expressions and proverbs concerning the nose in Russian than in any other language in the world. Nabokov's style in this biography is comic, but as always leads to serious issues--in this case, an appreciation of the distinctive "sense of the physical" inherent in Gogol's work. Nabokov describes how Gogol's life and literature mingled, and explains the structure and style of Gogol's prose in terms of the novelist's life.